Motoring is now the second biggest expense that the average family has to face. It follows just housing costs as the greatest outlay a family makes according to the latest research. 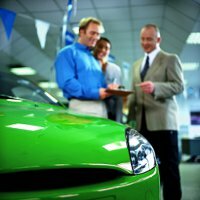 Making a decision on a car purchase needs to be thought through very carefully if you are to get the best deal. It is not just the make and model that you need to think about or who you will buy from. It is also deciding whether you are going to buy a new car or a used car. A used car is undeniably cheaper than a new one but there is a certain priceless ‘peace of mind’ that comes from buying new. What are the other factors to consider if you are trying to decide whether to buy that shiny new car from your dealer’s forecourt or a used car with, say, just one previous owner and limited mileage on the clock? It is the case that simply driving your brand new car home from the car dealer’s showroom will see depreciation in its value. The average car loses nearly half its value over their first three years, and then things slow up with just an 18 per cent drop over the next three. A used car will hold its value for much longer than a new one. Some careful research on your part can, however, help to minimise the impact of this depreciation. Some models hold their value much better than others. For example in the past few years the BMW 3 Series and the Audi Q5 have seen just 30% depreciation over the first three years compared to 60% for the Lincoln Town Car and nearly 70% for Vauxhall’s Zafira and Insignia. Depending on how you are going to be paying for your car you should be aware that the typical new car loan attracts a lower interest rate than that for a used car. In recent years these two rates have remained within one percentage point of each other but this can still make a considerable difference to the monthly loan payments that you make. Used cars do attract more interest on finance deals but they can lower your insurance premium. The same make and model of a car will attract different insurance quotes from the same insurer. The cost of insurance for a used (three year old) car and a new one can vary by as much as £70 (or $100). Insurance premiums are, however, based on a number of factors and new cars often have security devices such as immobilisers and sophisticated locking systems that may reduce your premium when compared to those in an older car. 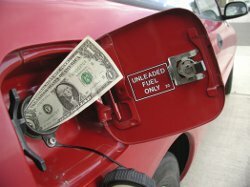 You need to factor in to your budget the likely higher maintenance costs of a used car. A new car will not need things like new tires (tyres) or work on its brakes and gears for many years – and the cost of many repairs are covered by its warranty. 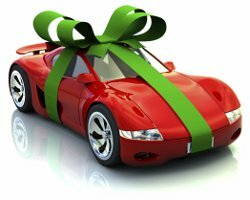 There is a lot of extra value contained in the ‘care cover’ that can be included in the price of your new car by some dealers. These may not only include warranties on parts but also include offers on maintenance packages. For instance in some countries Toyota dealerships are currently (July 2012) offering Toyota Care which covers oil changes, tyre rotations and vehicle inspections for the first two years (or, at least, the first 25000 miles). Similarly in the UK some Nissan car dealerships are offering free servicing for a number of years, so it is well worth shopping around. It is also likely that a used car will need scheduled services sooner rather than later. Check out what the model you are looking at needs doing and when. Things like a timing belt change, which is often mandatory at 70,000 miles, can cost over £300 (or $500). Many used cars will not be equipped with the latest safety features meaning that your car may not have the potentially life-saving benefits of electronic stability control, head-protecting curtain air bags or advanced frontal air-bag systems. Having said this safety in cars is improving all the time and older models do all tend to have safety features such as antilock brakes, traction control and side air bags fitted as standard. With continued technological improvements new cars are likely to have lower CO2 emissions and, as a result, even those with larger engines may attract less tax than older cars. New models may be equipped with a hybrid engine, that is one combining a traditional internal combustion engine with one or more electric motors, and this can lower their harmful emissions even further. In the UK the annual vehicle excise duty (or car/road tax) rates for cars is based specifically on their CO2 emissions and the type of fuel they use. There are similar economic incentives for using more environmentally friendly cars in many other countries. These advances in technology have greatly improved the fuel consumption of new cars which, with the continuing rise in petrol prices, is an important cost consideration over a car’s life. Even assuming a modest car usage (15,000 miles a year) and an equally modest fuel consumption saving (a drop from 35 mpg to 32 mpg) the savings achievable over three years could be significant. At current petrol prices in the UK the above example would equate to savings of over £700. What is good for the environment can also be very good for your pocket. The current economic climate in many countries may mean that there has never been a better time to consider buying new. The current difficult climate has seen a drastic dip in the return of leased cars to dealers and people holding on to their current car for longer. Quite simply there are less used cars on the market which has seen a rise in the price of those that are. In addition the current commitment of many governments to low interest rates has encouraged car dealerships to offer long-term, 0 per cent financing deals on purchases of new cars. All of a sudden if you have a low-mileage good condition car to trade-in you can get a great price for it and an attractive finance offer on your new car. Whilst the economic factors seem to give a new car purchase the edge at the moment things can and do change. Consider all of the factors before deciding whether a new or a used car purchase is right for you and drive safely whatever you choose to drive. If, having read the above and done your research, you decide that a second hand or used car is for you then take a look at our guide as to what you should out for before making your purchase. If, however, you decide to go down the new car route then it may be worth checking out this fun interactive guide on buying a new car which takes you through everything from showroom to final purchase.